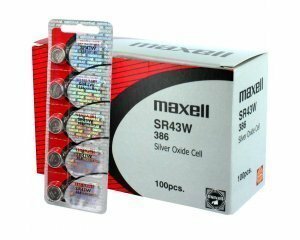 100 pcs Maxell SR43W SG12 SR43 386 Silver Oxide Watch Battery by Maxell at Blog Free Here. MPN: SR43W-100. Hurry! Limited time offer. Offer valid only while supplies last.